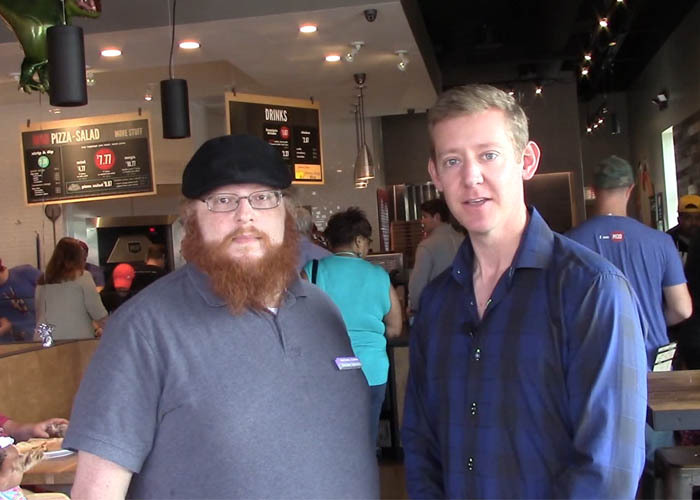 I got to speak with Tommy Sikes the Director of Marketing for MOD Pizza during their grand opening in Englewood, OH. Tommy explains what the new restaurant in our area means to the community it serves. The atmosphere is great. MOD Pizza is reasonably priced and keeps a business model of fresh food done fast. They roast their garlic in-house each morning and you can taste the freshness of it when you add it to your orders. MOD Pizza’s new location also means new jobs to our area for an employer that takes time to ensure their employees are taken care of and matter. They had all of their staff on-hand to train at the same time so each of them would know what the other employees knew. Don’t take my word for it on how great this place is. Watch the video and hear Tommy tell it in his own words.